The Netherlands’ Minister of Economic Affairs has awarded DONG Energy the concession to build the offshore wind farms Borssele 1 and 2 that are expected to be the cheapest worldwide. DONG Energy won the concessions for Dutch offshore wind farms Borssele 1 and 2 with an average bid strike price, excluding transmission costs of 72.70 €/MWh during the first 15 years of the contract. After the subsidy period, the wind farms will receive the market price. DONG Energy will, in accordance with the Dutch tender regulation, build Borssele 1 and 2 within four years from today with a flexibility of one year. Under the Dutch system, interested market parties could bid in the subsidy and permit tender, with a maximum price cap set at 12.4 €-st/kWh. Overall, there were 38 bids. DONG Energy submitted the lowest bid with an average of 7.27 €-ct/kWh. This is 5.1 €-ct less than the originally estimated compensation and results in a cost reduction of € 2.3 billion over the 15-year period that the SDE+ subsidy compensation is available. Until now the lowest auction price for constructing and operate a wind farm was 10.3 €-ct/kWh, for a wind farm off the coast of Denmark. The wind farms Borssele 1 and 2 with a capacity of 350 MW each will be located 22 km from the coast of the Dutch province of Zeeland with a water depth of 14 to 38 m. They will cover an area of 128.3 km2 and benefit from an annual average wind speed of 9.5m/s. The Dutch offshore grid operator TenneT is responsible for construction, operation and ownership of the substations and the export cable. A greater part of the construction of the new wind farm in the Borssele Wind Farm Zone is expected to be conducted from the port of Vlissingen. According to DONG the reduction of cost of electricity is driven by cross-industry collaboration, ongoing innovation of wind turbines and blades, continuous improvements of foundation design and installation methods, higher cable capacity, a growing and competitive supply chain and not least the synergies from building large-scale capacity sites. In addition, the Dutch sites offer good seabed conditions as well as good and stable wind speeds, which contribute to high output from each turbine. One million households will be provided with electricity generated by the 700 MW wind farm off the coast of Borssele. 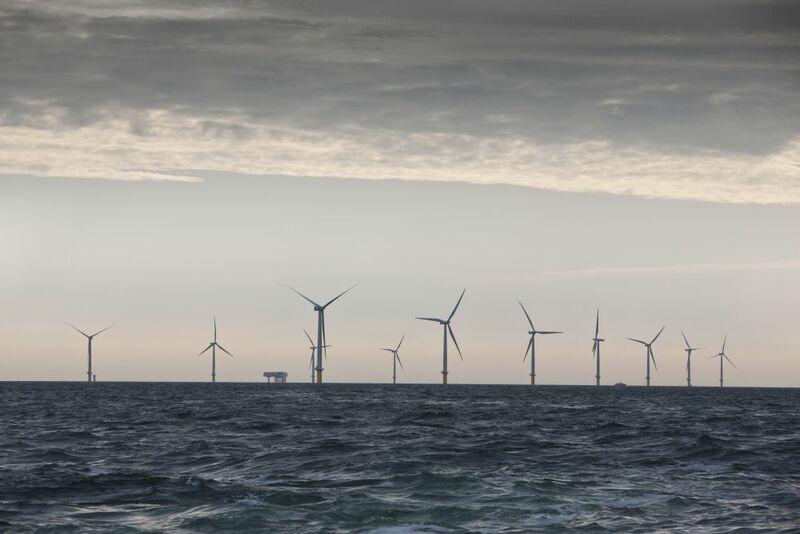 Four additional offshore wind farms, each 700 MW, will follow in the coming years, also off the coast of the provinces of North and South Holland. Combined, these five wind farms will have a combined capacity of 3,500 MW, generating enough electricity for more than five million households. This a major contribution to the Netherlands goal of 16 % sustainable energy in 2023. It is expected that the tender for the Borssele Wind Farm Sites III and IV will be closed in the last week of September 2016.